Denver Roofing Company New Roof Plus! We are a locally owned Denver Colorado roofing and exterior company. We are based in Denver CO but we serve the entire Front Range from Fort Collins, Boulder and Denver to Colorado Springs. We work on all roof types - from residential roofs to technical commercial roof systems on flat roof buildings. 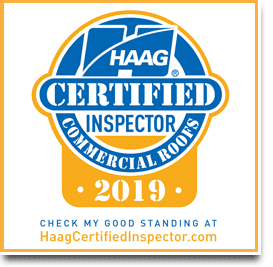 Our roofing inspectors are Haag Certified. We are not your typical Denver roofers. Before you let someone crawl up on your roof, find out their qualifications first. Read about our Haag Certification below. If your home was impacted by hail or wind, you may have roof repairs that need attention. Give us a call today to Schedule a FREE Roof Inspection by a Certified Roof Inspector. Or fill out the form on this page and we will contact you ASAP to discuss your roofing project. We are roofing contractors who work really hard to do a great job for every customer. Customer satisfaction is our top priority. We care about every detail to make sure our customers have the highest quality material installed and have a great experience with their roof replacement. You can read a few of our reviews on Google, Yelp and Facebook to hear what others say about New Roof Plus customer satisfaction. 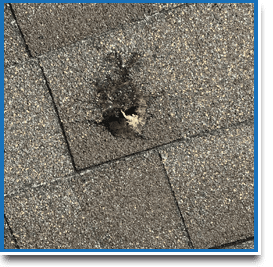 If your roof looks like it has hail or storm damage, we can give you a Free CERTIFIED professional roof inspection and estimate. Hail and storm damage is usually covered under your building insurance plan and we have years of experience to help you through that Insurance Claim process as well. Many Denver roofing companies make the insurance company out to be the bad guy but we feel otherwise. We have very strong and long-term relationships with Insurance Agents across the state. All of these agents want their customer (you) to have a good experience in getting their home restored to its previous pre-storm health. We feel that you protect yourself best when we work together in a positive cooperative relationship. As a result, our customer (you) gets treated very well and with the utmost care, and insurance coverage available. Why Use a Certified Roof Inspector? New Roof Plus Managing Partner Greg Jones is a Haag Certified Residential Roofing Inspector and also a Haag Certified Commercial Roof Inspector. Haag Certification tells you, as a home or building owner, that this certified roofing professional is highly experienced, highly trained and has fine tuned their ability to find and assess damage from a hail storm, wind storm, old age or other cause where it exists. To earn this designation as a Haag Certified Roofing Inspector one must prove a deep understanding of the latest damage assessment techniques with successful completion of an extensive exam. 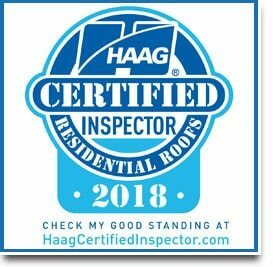 Greg’s experience, knowledge, and Haag certification will give you the confidence that you have one of the elite inspectors in the country inspecting your roof. This would include all types of roofing including residential homes and commercial roof replacement inspections. 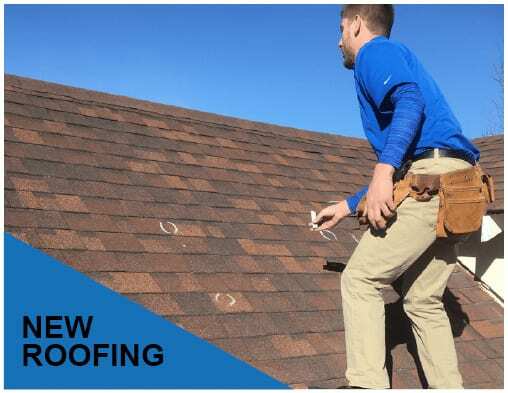 New Roof Plus offers this inspection service at no cost (free) to the home owner. Greg will inspect your roof and give you a detailed analysis of it’s condition. Should your roof have sustained damage from a storm or other influence, he will give you the information you may need to proceed with an insurance claim or roof repairs. Haag Certifications are rare in the front range roofing industry and they are even more rare when including all roofing contractors across the entire state of Colorado. Taking the initiative to continually learn and become the best in the business is what the New Roof Plus team are all about. We are building the best roofs and the best relationships one customer at a time. We hope to build a relationship (and maybe a roof) with you too! The customer experience is our top priority and extremely important to us. We are very in-tune with our clients to make sure we are working together and on the same page at all times. Our review portfolio is growing every day, thanks to our great clients, who are willing to take the time to write some kind words about us. We are not perfect but we really want to be – so we work our tails off to do great work – and our customers appreciate it. Being a locally owned Colorado roofing company, we believe in doing the right thing, being honest and fair. We believe in integrity and “The Golden Rule”. Read more New Roof Plus Reviews here. If you would like to view some of our photo galleries, visit our Google My Business page and read our blog. Here you will find the stories behind the pictures from some amazing hail storms and roofing adventures. 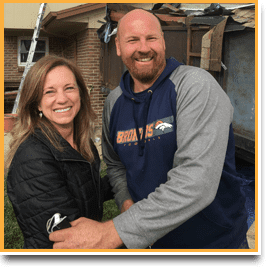 We are serving Denver, building New Roof Plus one satisfied customer at a time with the hope that your experience is excellent and it will lead you to write a great review and recommend us to family, friends and neighbors. This is our top priority. We always seek feedback to learn how we can improve our customer experience. The world has changed and consumer experiences are easy to share – good or bad. But we want to know how we are doing and seek to always do better. Denver CO and the entire Front Range is a wonderful place to live and we love the people, the climate, the mountains and our way of life. We don’t want to be viewed as just another one of the Denver roofers. Whether you own a residential home, multifamily unit or commercial building, Coloradans appreciate being treated with respect and honesty. It’s our goal to reflect that, be good citizens and do great work, commercial and residential, one customer at a time. We work with most every insurance company including Allstate, Farmers Insurance, Amica Insurance, USAA Property and Casualty, MetLife, Nationwide Mutual, Hartford Financial, Liberty, Travelers, State Farm, American Family, Chubb, Pure Insurance and more… If your insurance company is not listed here, contact us to find out how we can help. We understand the insurance claim process. We are not legal advisors but we are experts in roof inspection and roofing installation so our advise and hail damage insight given to home owners, business owners and claims adjusters is founded on industry leading training and experience. Most homeowners and business owners begin roof damage investigation with a call to their insurance company. Some insurance companies arrange an adjuster to come to your building, some recommend you call for a professional roof inspection. Either way, your potential roofing project will likely involve a Denver roofing company at some point. Insurance for a commercial roof replacement often times requires a much more involved and detailed analysis since the costs can be very significant. This is where using a Certified Commercial Roof Inspector can be extremely valuable. 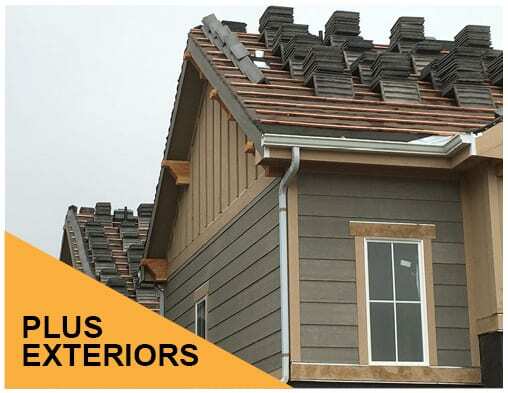 Using a Certified Roof Inspector and project manager like you will get with New Roof Plus is just another way you can protect yourself when going through residential roof replacement, multifamily or flat roof replacement. 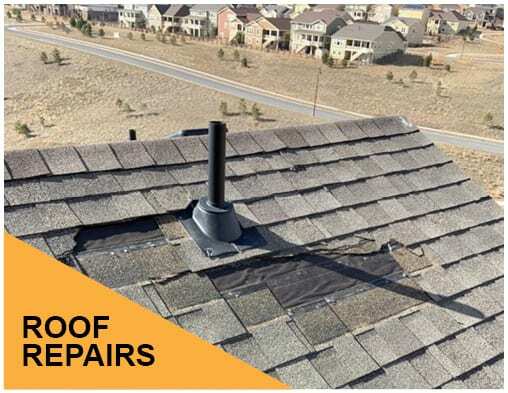 We look forward to being your go-to Denver Roofing Contractors, providing quality workmanship and quality materials for commercial and residential roof replacement. We are serving Denver and the entire front range from Boulder to Fort Collins to Colorado Springs to Highlands Ranch, Englewood, Lakewood CO, Littleton and all the beautiful cities and towns of Colorado in-between.